This Bank Holiday sees a special 'Open Weekend' at Citroen dealers to celebrate the arrival of the new 60-plate registration on 1 September. The event will see buyers of the Citroën C3 or C3 Picasso - who get their cars registered in September - handed a £500 pre-loaded Citroen gift card that can be spent at any major shopping outlet. The new Citroën C3 and C3 Picasso are now available for September registration from £8,990 and £10,695 respectively - with £2,000 ‘Welcome Reward' deducted for customers that are new to Citroën. Alternatively, there's the option of 0% APR finance over three years with nil deposit. 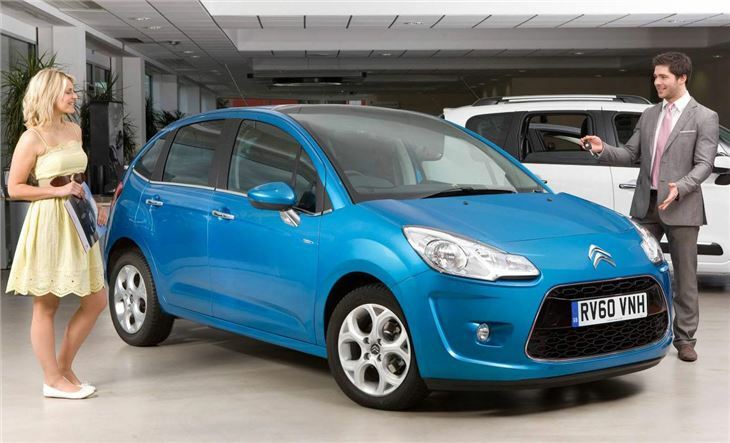 Plus, there's a 3 year/35,000 mile Free Servicing offer on all New C3 and C3 Picasso models. All other models in the Citroën range are also available with special 60-plate offers. They include the C1 city car - one of the UK's most fuel and CO2 efficient models - available from £6,495, with £2,000 dealer contribution deducted. All other C1 models (excluding the 1.0i VT 3-door) are available with three years'/35,000 mile Free Servicing and £1,000 ‘Welcome Reward', or 0%APR finance over three years with nil deposit. The DS3 range is available with a low cost £199 servicing offer (three years'/35,000 miles), and both the new DS3 Black and DS3 White models are £199 per month on Citroën's Elect 4 personal lease plan. The C4 Picasso and Grand C4 Picasso ranges start at £14,805 and £16,005 respectively - with a £2,500 ‘Welcome Reward', or there's the option of 0% APR finance over four years with 30% deposit. All C5 Saloon and Tourer models are now available with 0% APR finance over four years with 30% deposit.